If you’re a Star Wars fan you’ll no doubt be familiar with the ‘dark side of the force’, the battle between light and dark with characters drawing power from the mystical dark side. The idea that we can have both light and dark aspects of our personality, each competing in an internal battle for supremacy has captivated academic interest for some time, particularly when applied to a workplace setting and to leadership. And if the concept of light and dark side traits is a new one to you, it can be unsettling. We look at these personality flaws, how to identify them in ourselves and others, and how to manage them. Back in the 60s academic Bentz pioneered research into dark side personality characteristics and their impact in a work setting whilst Hogan and other researchers took up the baton in the 90s, with research continuing to this day. It is suggested that both bright and dark side traits can be part of our regular make up with the former being the appealing side that we like to present to others and the latter being the characteristics that we might exhibit when we are tired, stressed or otherwise not focused on maintaining our image. As attention is diverted from the impression we may be giving of ourselves, the dark side takes its opportunity to rise to the surface. Yet, whilst you might always imagine dark side traits to be negative, it’s actually a little more complex. Those with only low to moderate dark side traits may be able to control these quite effectively, with minimal emergence and impact upon leadership behaviour. As these emergences are infrequent, they may be treated by colleagues as anomalies rather than as representative of usual behaviour. And if the individual has strong soft skills, they are good at communicating, leading others and generally likeable, then these soft skills can mask the dark. 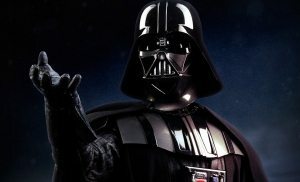 Research from Furnham went even further than this suggesting that in some situations dark side traits can be perceived by others as being positive. And so to the traits themselves. The Hogan Development Survey (HDS), a personality assessment, is one means of identifying the dark side traits. The tool considers there are 11 ‘derailers’: excitable, cautious, sceptical, reserved, leisurely, bold, mischievous, colourful, imaginative, diligent and dutiful. The higher the score on an element, say excitable, the more likely you are to let this dark side trait show through when you are stressed, worried or otherwise tested. The traits themselves may sound fairly innocuous and they are at low levels, it is when they are present in high levels that they become problematic. Taking excitable as an example, at its most extreme form this can manifest as moody, volatile, inconsistent and easily disappointed. Or how about diligent, which at low levels is desirable but at the opposite end of the scale can mean critical and controlling. Kaiser & Hogan suggested that we are most likely to see dark personality traits when individuals are working more autonomously and this makes sense, they are asked to conform less and may be less regulated by the options and attitudes of others. Whilst Furnham has suggested that there are links between dark side traits and the sector we are attracted to, saying we are more likely to encounter those with the bold and mischievous traits in the private sector where they may be held in higher regard. The research on dark side traits has shown us that yes, you probably do have dark side personality traits that come out when you are stressed but that, if they are low to moderate, it is possible to manage them fairly well before they emerge in a work environment. Controlling and being aware of stress is key, as is understanding those derailers that can quickly seep from bright to dark side. We all have a dark side, but if you understand it and its potential power over you, you can manage it effectively so that your desired image is maintained.